Lukas grew up in Mountain View, Arkansas in the Ozark Mountains where he started playing banjo at the age of 12. Most nights were spent on the courthouse square with his friends and family learning and growing with the music. His father, Scott Pool, began building banjos when Lukas was young and taught him the ins and outs of woodworking, instrument repair, and building banjos. In 2008 Lukas attended Berklee College Of Music where he studied under Matt Glaser, Darol Anger, John McGann and Bruce Molsky. Since graduating from Berklee in 2012 Lukas has had the honor of winning the national old-time banjo campion twice, recording with Darol Anger on his latest album ‘e and a’ and returning to Berklee as a guest professor. Lukas now lives in Mountain View, Arkansas where he builds banjos, plays, and teaches. Eden fell in love with Old time at nine years old and at 16 she bought her first Banjo, a nylon string no-name with a horse shoe on it. It was love at first frail. While she primarily plays fiddle, she still enjoys picking up and plunking around on one of the many banjos around the house. Woodworking for Eden started by building a tack box with her stepdad Matt. She was never afraid to swing a hammer as a kid, but he taught her to measure twice, cut once and to enjoy getting your hands dirty. Inlay is an exciting medium for Eden, who always loved to draw as a little girl. Eden graduated from Berklee College of Music in 2014 where she majored in Professional Music with a minor in American Roots. She studied fiddle with Darol Anger, Bruce Molsky and songwriting with Mark Simos and is a talented and expressive singer. She finds her musical home in American Old Time Fiddle, but her repertoire extends into many directions. She has a background in Scottish Music and won the US Junior Scottish Fiddle Championship as a teenager in 2004. She now makes her home in Mountain View, Arkansas where she performs, teaches, and builds with Lukas and Charlie in the woodshop. Charlie was born in Georgia and home was a dumpster. He was rescued, sent to Massachusetts, and the lovely people at the Cape Ann Animal Aid helped him to find a new home in February 2011. 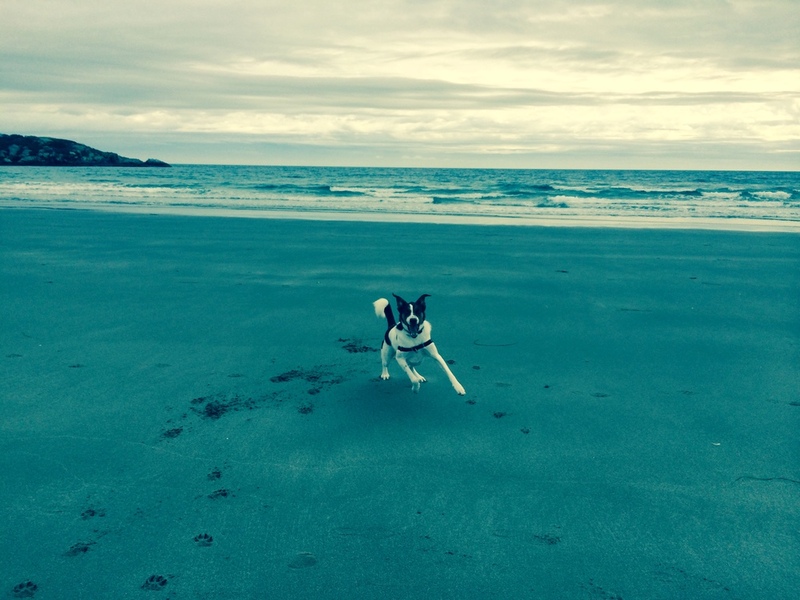 He spent many days at the horse barn barking at donkeys and running the beach with friends. Life was good, but he never forgot his humble beginnings. Inspired by his early days in Georgia, Charlie found a passion for music in the songs and tunes of his homeland. Charlie has a beautiful voice, which can be heard if you ring the doorbell or are late with dinner. Now living in Mountain View, Arkansas Charlie has teamed up with Lukas and Eden to create the Ozark Banjo Company. He is an important part of the team and most decisions are made by him (especially lunch). His favorite banjo players are Dirk Powell, Kyle Creed, and Gabe Hirshfeld.